for the riding of D'Arcy-McGee. 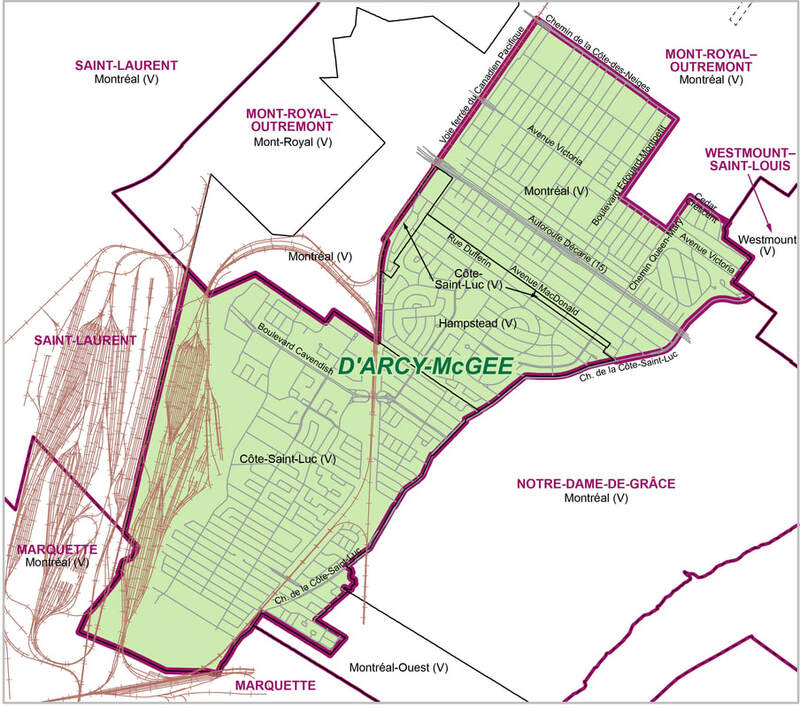 D'Arcy-McGee comprises the towns of Côte-Saint-Luc and Hampstead and sections of the borough of Côte-des-Neiges/Notre-Dame-de-Grâce. and now I'm also the Conservative Party candidate for the riding of D'Arcy-McGee. I ABSOLUTELY POSITIVELY BELIEVE IN HAVING A REAL CHOICE !! !